You don’t need to have any prior knowledge of The Evil Within in order to jump into The Evil Within 2 and understand the conflict and setting, but if you want a little background info, we’ve got you covered. At its core it’s about a man who is fighting his demons (both literally and figuratively) as he journeys into a twisted world to save his daughter. This FAQ is designed to catch you up on the story and get you ready for The Evil Within 2. Maybe you just need a refresher course on things you may have forgotten since playing the first game and the two main DLCs (The Assignment and The Consequence), or maybe you haven’t had a chance to play anything in the series at all. That’s cool, too. 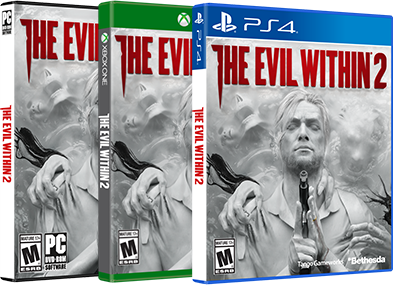 We’ll start with the first game, The Assignment and The Consequence, and then we’ll hop into some questions about The Evil Within 2. This FAQ is a living resource for players both new and old, so we will continue updating with more questions as we see them pop up in the community. First thing’s first: Who’s the guy in all of the art for the game? What’s his deal? His name is Sebastian Castellanos and he has a number of deals. Former father. Former husband. Former brilliant detective at the Krimson City Police Department. Former sane person. Current self-loathing alcoholic. When we first meet Sebastian in The Evil Within, he’s still a detective, though the rest of his life is in shambles. He’s still incredibly sharp, but his emotional state is fragile and he can be found hanging out in bars more often than not. After everything he’s seen and done, that’s understandable. He lost his daughter in a tragic fire (or so he’s led to believe, but we’ll circle back to that), lost his marriage, and is dragged into a hellish STEM world. That’s more than enough to drive anyone a little crazy. But the Sebastian you play in the second game is much different from the one you play in the first. Sebastian is lost, confused and just trying to survive in The Evil Within. 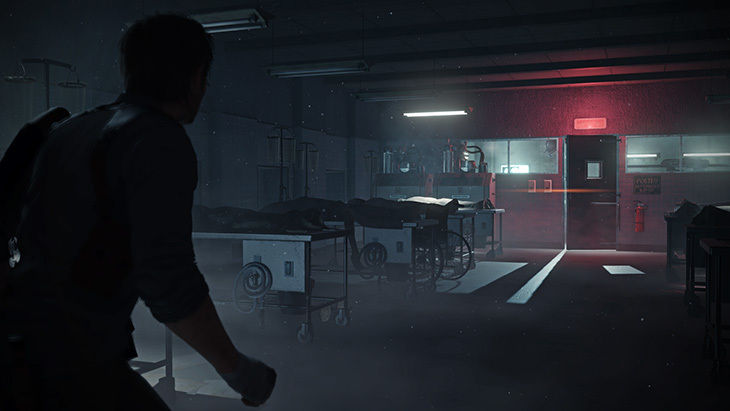 With The Evil Within 2, the world is still a mysterious place and he’s still fighting to stay alive, but now he has a purpose. Rather than getting pulled into STEM involuntarily, he’s making the active choice to go back. Sebastian is a man on a mission to save his daughter and he refuses to let anything stand in his way. When Sebastian is pulled into STEM in the first game, he faces countless horrors in a twisted version of his own hometown, Krimson City. Being tortured and nearly killed in a place that looks even a little like “home” probably didn’t do much to help his mental state after he makes it out of STEM. Mobius is an elusive organization that, for all intents and purposes in the eyes of the general public, does not exist. They seemingly have infinite resources, and have even planted one of their own agents in Sebastian’s team. You may have seen the Mobius logo pop up in a few places. And why do they want to use STEM? Though their motives remain murky in the first game, the two DLCs (The Assignment and The Consequence) shed more light on Mobius. They claim their goal is to use STEM to change the world and become humanity’s new leaders. They believe STEM holds the key to true “peace and order,” but very little they have done in the series thus far has been particularly peaceful. How did Sebastian get mixed up in all of this insanity? It could appear to simply boil down to a case of “wrong place at the wrong time,” though the truth is decidedly more complicated than that. Sebastian’s involvement with Mobius began when he and his team began investigating a series of missing people at Beacon Mental Hospital – the same hospital were Mobius was developing STEM and performing twisted experiments to perfect the device for their own needs. It was actually because of a Mobius agent that had been planted on Sebastian’s team that Sebastian was pulled into STEM at all. And who was the Mobius agent on his team? Why is this person the reason Sebastian got involved with STEM? Junior Detective Juli Kidman. Trained and trusted by Sebastian, she’s probably the last person he might pick for a double agent. She is pulled into STEM alongside Sebastian, but she has her own reasons for being there. 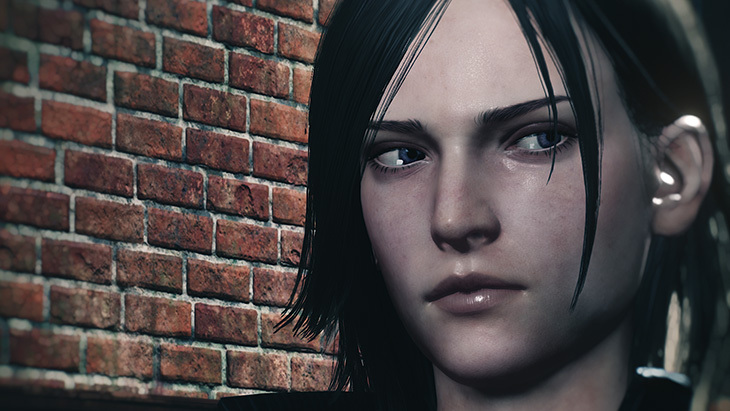 Kidman is the protagonist of The Assignment and The Consequence DLCs. Kidman was sent into STEM to retrieve someone, and Sebastian was caught in her wake and used as a test subject in Mobius’ world – a sort of scientific collateral damage. So Juli Kidman is a bad guy? Kidman is complicated. She may have come across as something of a villainous figure in the first game, but her DLCs provide a deeper insight into her actions. She joined Mobius after living out a very troubled childhood and underwent intensive indoctrination therapy. They are able to influence her actions throughout the first game via an injection they gave her before she went into STEM. You know, standard “evil corporation mindgames” stuff. Kidman believes she owes Mobius her life, and even after learning they lied to her about her true role in their organization (as an expendable tool rather than a valuable asset), she leaves with them at the end of the first game, and is still working for them at the start of the sequel. Of course, she has her own reasons for doing so, and they aren’t born of limitless trust in the organization. How’s Sebastian holding up at the start of the game? Well, he’s alive, but that might not be such a great thing, depending on who you ask. He probably doesn’t think so. After all the horrible stuff that went down during the events of the first game, returning to the real world should have been a walk in the park for our dear friend Sebastian. But when he tried to get help hunting Mobius down, people refused to believe his story. And just his luck, anyone who might have corroborated it is either dead or missing. So now everyone thinks he’s crazy, and as a result, Sebastian is out of a job. The STEM world in the first game was a messed up version of Krimson City. Is it the same in The Evil Within 2? Nope. This is a completely separate STEM world. Called Union, this one uses Lily’s mind as the Core, though Lily has gone missing inside of STEM. (Yes, that Lily – Sebastian’s missing daughter.) Cue Sebastian being sent in to locate her and pull her out. Whereas the previous STEM world was familiar – despite it being an incredibly warped version of Krimson City – Sebastian has no knowledge of Union. Union was intended to look like idyllic Small Town, USA. But the road to hell is paved with Mobius’ intentions, and something horrible is happening in Union, causing it to tear itself apart. STEM worlds require a Core to exist, and with Lily missing inside of the STEM world, it’s beginning to deteriorate. As her mind falls apart, so does Union. Goodbye Pleasantville, hello Amityville. Will I see any familiar characters in the sequel? Kidman is a huge part of the story, obviously, but as mentioned above, this is a separate STEM world than that of the first game. STEM worlds are built using the Core’s own memories, and Union was built using the mind of a little girl who has no knowledge or memory of the events that transpired in the first game. You’re going to encounter a mostly new cast of characters, each with their own reasons for being in STEM. So that means there are other people in STEM with Sebastian? Sebastian is Mobius’ last choice to send into Union. Other agents were sent in before Sebastian, though we can pretty much assume they didn’t have a lot of luck. After these agents start going missing, Mobius realizes Sebastian might be their only hope of saving Union from collapse. Sebastian doesn’t care about Union – he only cares about saving Lily – but the deterioration of the world forces him into a race against time as he fights to find his daughter before her mind is lost in STEM. By the time Sebastian arrives in Union, the city is crumbling and the Mobius team has been scattered to the wind. Sebastian can run into them as he explores the world, and (providing they’re still alive) they can offer side quests that lead to new weapons, resource stashes or information. What is Juli Kidman’s role this time around? Unlike in the first game, she hasn’t actually traveled into STEM with Sebastian, but he can still stay in contact with her via a communicator device. In addition to being a vital link to the real world, Kidman will provide Sebastian with information about Union, Lily and the other Mobius agents in the world. Do you have a question about the story that we didn’t answer? 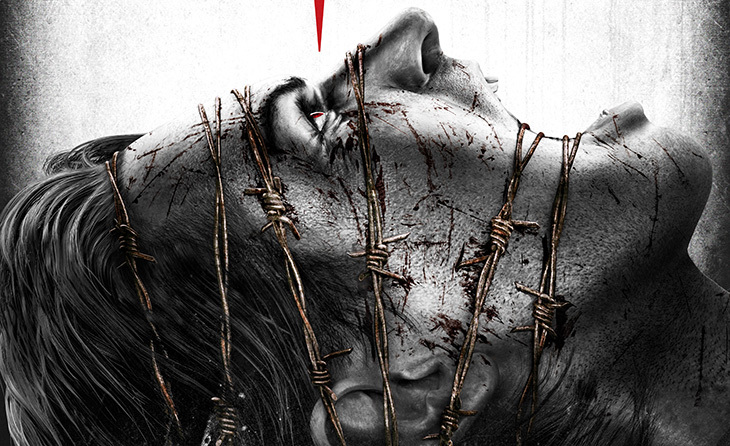 Reach out to @TheEvilWithin on Twitter and we might add your question to this list.